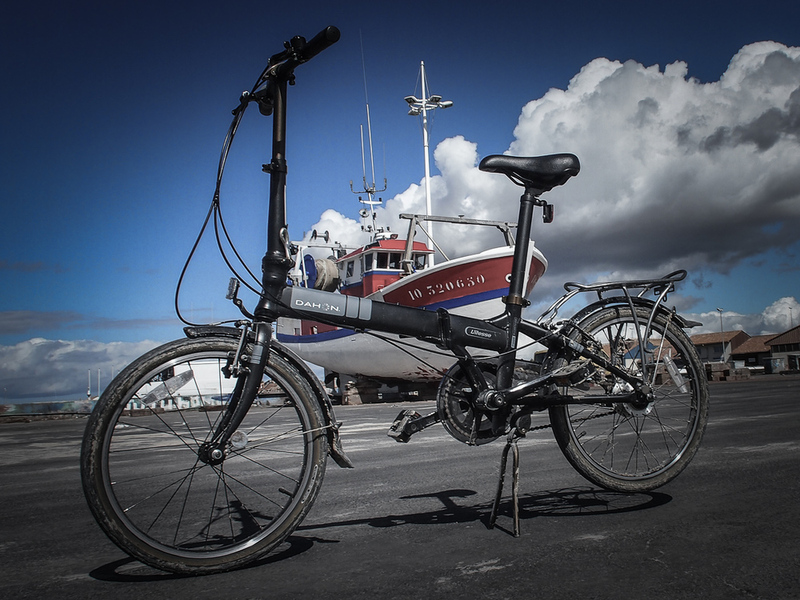 Seeing as I'm really beginning to like Google+ and I've just joined the +Dahon Bikes circle, I thought I'd show you some pictures of my very own Dahon which served me so well on my recent trip to France's Atlantic coast. 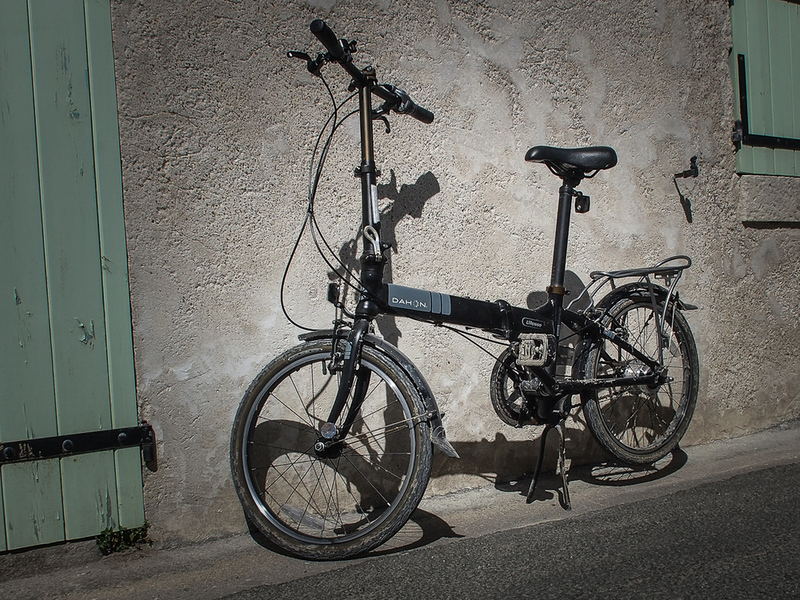 It's a beautiful black Dahon Vitesse which I've had for three or four years. Yes, I know, it's looking a bit grubby in some of these shots. That was due to a misadventure which involved getting stuck in estuary sand when trying to get a good shot of the long viaduct which bridges the mainland and the Ile d'Oleron (didn't get the shot either). There's nothing especially challenging in this part of France. If you're a lover of flat easy cycling with a myriad of ever increasing cycle paths (as am I) then this is your paradise. For the first part of the trip I was based for three nights in the pretty coastal town of Fouras. On the first day here I cycled to the town of Rochefort, a round trip of around 20km. Second day was Chatelaillons Plage, about 30km there and back. On Oleron I was joined by a chum for cycling trips. From the fishing and tourist port of La Cotiniere we made several trips of varying distances up to around 30km. Destinations included nearby St Pierre, Boyardville, Chateau d'Oleron and the aforementioned viaduct. Very enjoyable! Not particularly far for a seasoned cyclist, I know, but I was quite proud of myself. Certainly ended the holiday at least as fit as I began it despite several nights of increased eating and drinking. 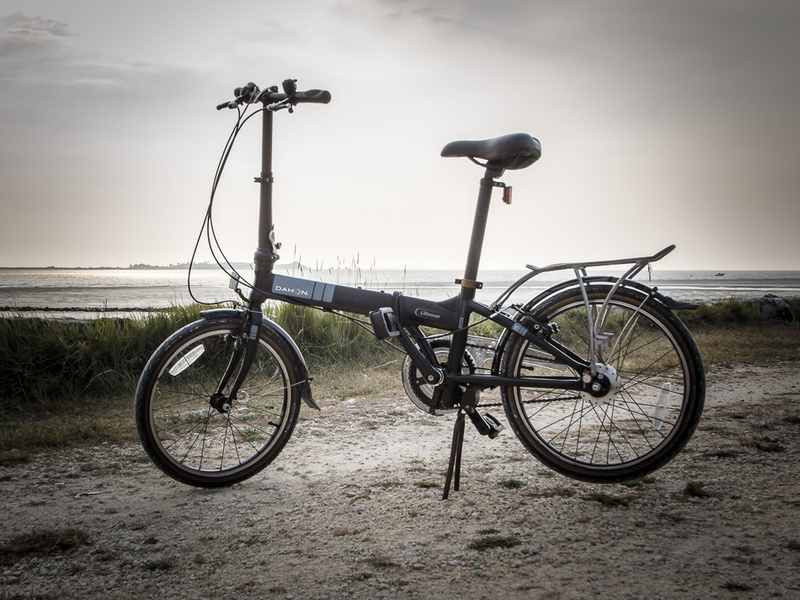 As well as folding to sit in the back seat of my car, this Dahon is very good to ride. The gearing is internal to the back wheel's hub so changing gear is very smooth and can happen while pedalling. Only thing is, I'm beginning to find that, when moving fast, the seven gears I have are not quite enough and I was reaching for a faster one on several occasions. Something a bit racier next, possibly? It's Ending In Paris - But It Began In Yorkshire!